Mazogs was made by Don Priestley who later on remade this game himself for higher spec homecomputers and called in Maziacs. 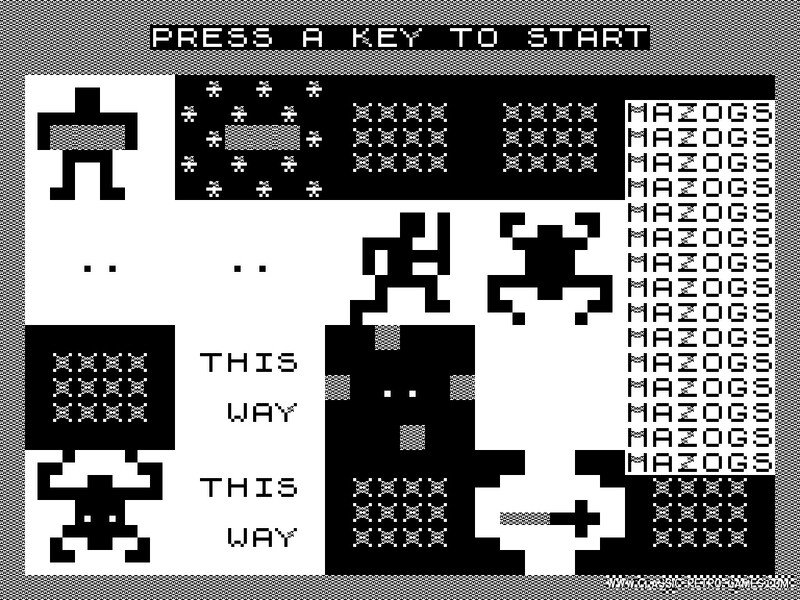 In this game the player must make his way through randomly created mazes and collect gold. Originally released by Bug-Byte in 1982, very succesful on ZX Spectrum and now available for Windows PC! Currently rated: 3 / 5 stars by 2 gamers.